I was at the bookstore the other night reading through my usual selection that I am too cheap to buy even though it’s on my recommended reading list over in my left side bar enjoy scanning through while the kids play with the lead-tainted Thomas train set. Have you ever noticed, when looking through old photos, how much older everyone looks in them? Pick up a high school yearbook from the 50s and all of the girls look like they are headed to the nearest AARP office to sign up. 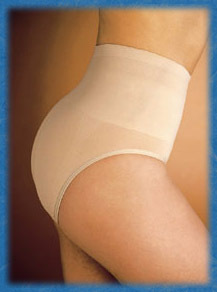 Some trends just make us look older than we are. And at my age, I’m not willing to fall into that trap. 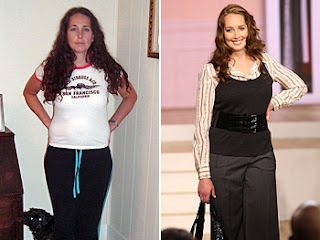 Look at Oprah, Katie Couric… these women look better now than they did fifteen years ago! Lighten the lipstick and lipliner. 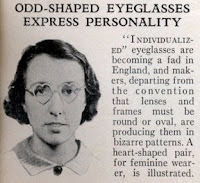 Choose fun hip eyeglasses, not granny styles. Seriously, girlfriend was probably younger than I am when she had this photo taken. But the hair and the glasses make her look like she could be my great aunt Hilda (if I had a great aunt Hilda). I don’t think these express anything except temporary loss of sanity. Avoid hair that is too long and parted down the middle. Eyebrows, ladies! Eyebrows! I am example numero uno for what a good brow shaping can do to improve your looks. Weedwhackers come to mind when I think of my eyesbrows pre-1994, which is the year that will forever be known as the year that I got a clue that my bushy eyebrows needed help, STAT! This video shows Charla talking about some of her tips. 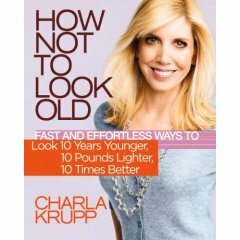 Read an excerpt of How Not to Look Old here. An interview with Time magazine here. Let’s fight the frump, ladies! We can do it! 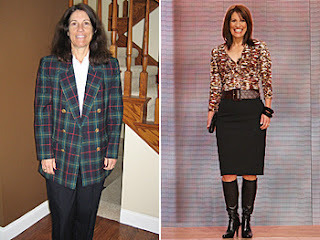 My challenge to you, should you dare to take it, is to clear your closet of at least ONE frumpy outfit (we all have them). Take a picture of it and post it. Then get rid of it. You may have to click on the photo to figure it out. I thought I was okay with this whole “aging” thing… It’s never really been a problem for me. But that was before I started noticing how my pores are becoming enlarged, my crow’s feet are spreading and I have to wear my glasses more. When did all of this sneak up on me? Caught off guard…Suddenly, I find myself looking at e.v.e.r.y. single bottle of “wrinkle cream”. But, you know what? I’m going to embrace it. I’m going to continue to laugh hard enough that those crow’s feet eventually spread out to my earlobes. Every day that I age, I am that much closer to meeting my Savior face-to-face. I don’t want to become so absorbed with aging that I miss out on the reason God has allowed me to stay on this earth… aging…Every day that I am on this earth breathing, God has ordained for me. So, Self, don’t ever worry about getting old. Enjoy it. Savor it. Soak it up.